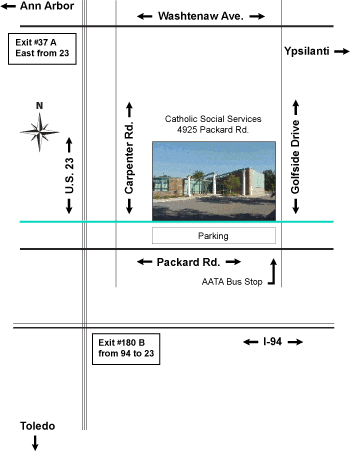 Facility is located at the Northwest corner of Packard and Golfside. Approximately 1 mile east of Carpenter. Free Parking right in front of the facility. Conveniently located on the AATA Bus Line.